A few months ago I shared that I had gotten a standing treadmill desk on social media. I was ecstatic and got so many questions about it so I decided to share my full review! Power walking has been my preferred form of exercise for the last decade. Even though I played sports all through my youth from soccer to cheerleading, running has never been my thing. It always felt more like a chore. Although I have the utmost respect for those who have ran half and full marathons! Walking on the other hand allows me to break a sweat and is something I truly enjoy and look forward to every day. When I lived in NYC while attending Columbia University, it was easy for me to log over 10,000 steps daily. City life will do that! Now I spend most days working from my office aside from weekly trips to the TV station. This treadmill desk has allowed me to kill two birds with one stone: work + exercise! The model I have is by LifeSpan Fitness – the TR1200-DT3 under-desk treadmill and a Studio 4 standing desk. If you are in the market for a treadmill desk, I cannot reccommend these enough! If you don’t feel like walking, it can also used as a standing desk which I do often. I am sure many of you have heard that “sitting is the new smoking” – and yes there is some truth behind that! Simply moving and standing more throughout the day, decreases your risk of certain chronic diseases including heart disease & Type 2 diabetes. The desk is height-adjustable with a super stable design. It can also hold a lot of weight – I have my Mac desktop on it and even while walking, never have to worry about it wobbling or potentially falling off. There is a digital keypad on the right side of the desk with arrows that allow you to lift or lower the desk easily. 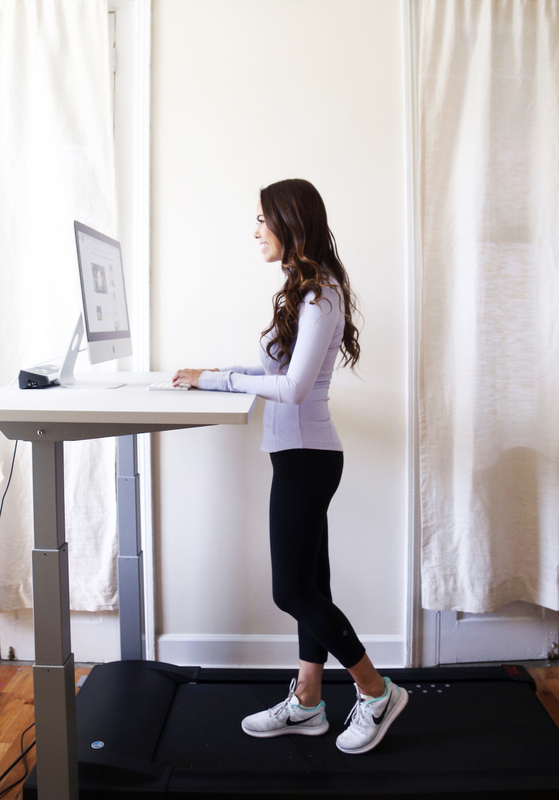 The treadmill fits conveniently under the desk is is the perfect size – doesn’t take up a lot of room. It’s also surprisingly quiet. I especially love that it tracks your steps and miles walked. You can easily adjust the speed as well. If I am sending emails or working on a post, I have it on super low but if I want to break a sweat I’ll increase it to 4 mph. 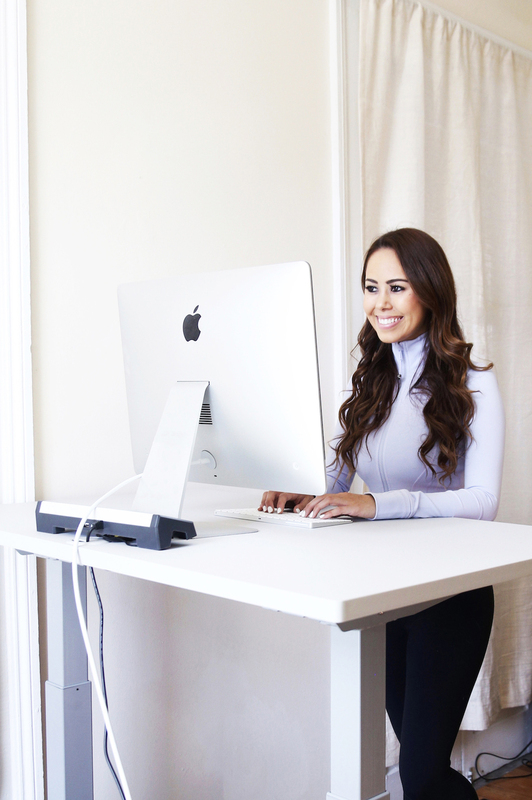 Do you have a treadmill desk or standing desk? Let me know on Instagram!